Pierre the French Bulldog is a bit of a star in the niche French doggy punk scene. But don't let his French roots fool you -- Pierre is a citizen of the world and is just as comfortable in New York or Melbourne! Standing about 27cm tall by 16cm wide, Pierre is a plush creature made from felt, and firmly stuffed for that nice, solid, huggable feeling. 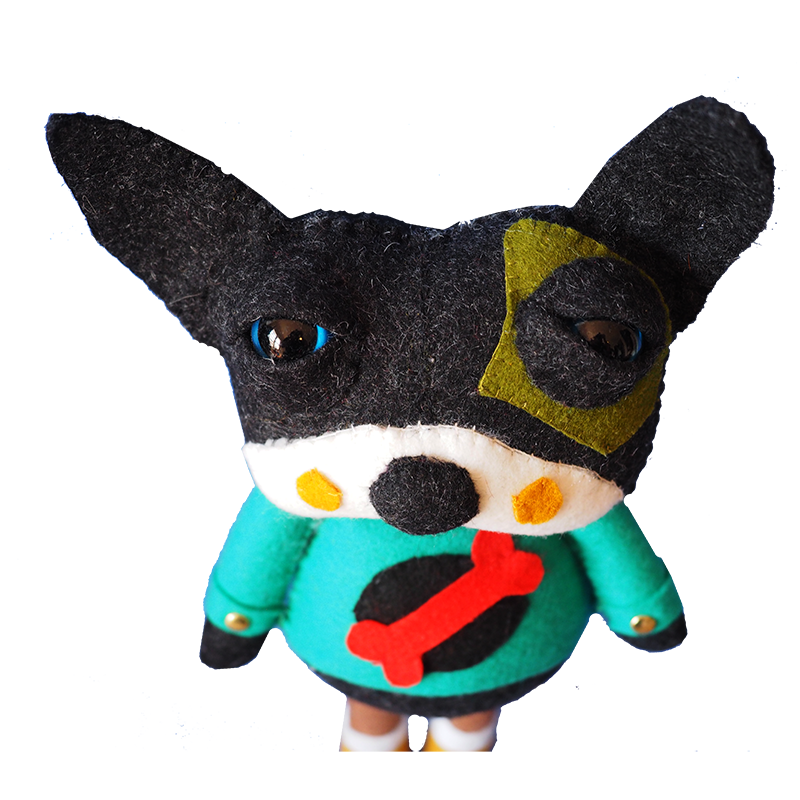 He is hand-stitched and embellished with brass buttons. As with all of the Creatures & Cream range, this cute little bulldog is designed to delight and bring joy to your household! I hope you enjoy him as much as I've enjoyed creating him!